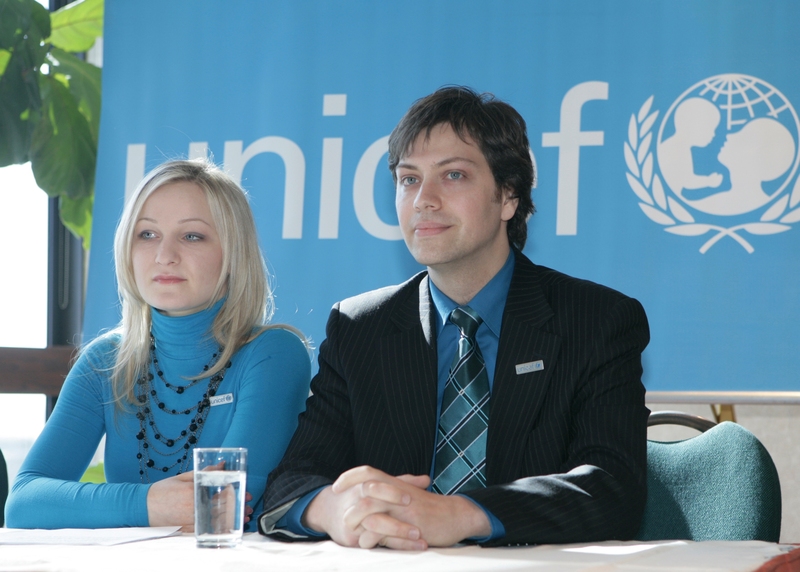 On March 9, 2007 UNICEF Canada was pleased to announce the appointment of internationally renowned composer & pianist Steve Barakatt and gymnast and Olympic medalist Elena Grosheva as Ambassadors for UNICEF Canada. They are first couple in the history of UNICEF to be appointed. In 2009, Steve Barakatt composed the official UNICEF International Anthem “Lullaby”. The choral symphony was premiered on November 20th, 2009 on five continents and on the International Space Station to mark the 20th anniversary of the Convention on the Rights of the Child, the most rapidly and widely ratified international human rights treaty in history. Strong advocates, Steve & Elena have participated in several major & global UNICEF campaigns.